Ever heard of Dale Burke? He wrote a book on leadership, but he may be even more famous for the person he followed in pastoral ministry. Dale is the pastor who in 1993 followed Chuck Swindoll as Senior Pastor at Fullerton Evangelical Free Church. Some readers may be unfamiliar with Chuck, but many will know that he is the longtime radio preacher for the radio program Insight for Living. 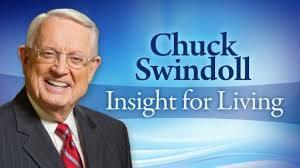 I always liked Chuck Swindoll and through the years found myself blessed by his ministry many times. Back in the day when Christian radio stations played James Dobson’s Focus on the Family and other talk programs (along with a smattering of Christian Contemporary Music by Amy Grant, Michael W. Smith and Carmen, et. al. ), Swindoll was probably the biggest radio preacher of that golden age. But I bring this up because I find it fascinating what happened to Fullerton E. Free when Chuck left after more than 20 years of ministry. I can only speak for the first year, and I’m not sure how I heard this (maybe a contact in the Free Church) but I always found it interesting. The skinny (as my aging brain remembers) that I once heard was that when the famous preacher Chuck Swindoll left Fullerton, attendance dropped by 1,000, a huge hit even for a mega church seeing attendance in the 6,000 range. Giving didn’t go down at all. 1,000 people leave…and giving stays the same? What does that tell you? Allow this non-statistician to hazard a guess – my amateur interpretation of the data tells me that the mature people were primarily there for Jesus, not Chuck, and they stayed and kept giving. The more immature people on the other hand – they were followers of a celebrity pastor and weren’t giving anything anyway. They left and financially…the church didn’t feel a thing (All this is initial. I think there may have been issues down the road for the church as if often the case when well-known pastors leave). Paul sums up this section with a not-to-be-forgotten truth: it is God who gives the growth, whether in an individual’s spiritual life, or in a church’s statistics. And if God is the One who causes things to grow, then all of us (both full-time vocational ministers like me…and volunteers) are only planting and watering, and even that we are doing only by His power and strength. Therefore, He is ultimately the only one we should ever look to for spiritual sustenance, though we recognize He uses undershepherds. But ultimately, the Lord is the only One who ever deserves praise. What, after all, was even the great Apostle Paul? According to himself – he was just a servant through whom they had believed. Amen.